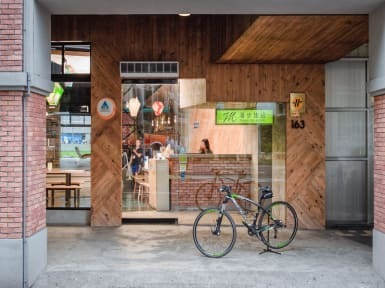 ‹Good Location› Meander located in 西門sta, that is center of Taipei city. You have to walk about 10 minutes to the hostel, but there are 2 boba tea shop and 2 good 魯肉飯 shop. I love those. You can taste 台湾. ‹Good Staff› Every staff are super kind. If you have not have your plan, ask them. They can make it. Bonnie, one of my favorite, would help you. Remember, there are two boba tea shop, which is COCO and 50嵐. Bonnie likes 50嵐 one. I like this, too. 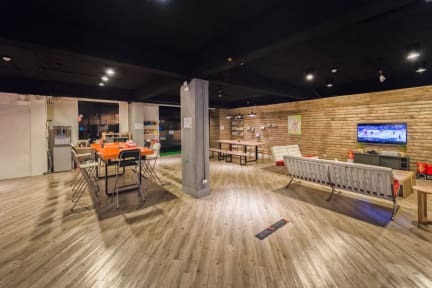 I stayed at three hostels in Taipei and this was the best hostel of those three. The hostel is clean and secure and staff are all nice. No wonder it has many good reputations here. Really nice place, when I come back to Taipei again, I would stay here Again ! I'm a female , I didn't feel unsafe even when I walk around 11pm alone around the hostel. Nice bed , nice breakfast, I could meet a lot of people eating breakfast. And staff is nice , they are always available , always answered my question while I'm stayed there! Thanks ! The loction and an environment was good and staff was very friendry! I waana use it again!